SWITZERLAND, Zürich — The following Truther.org FFTTA for New York City is valid from July 1st, 2013, until January 1st, 2014. Based on breaking news and events, the (1) the New York City Subway, the (2) Statue of Liberty, the (3) Brooklyn Bridge, the (4) Freedom Tower, (5) Times Square and (6) Wall Street are blinking red in respect to false-flag/state-sponsored terrorism. As the world marks the 18th anniversary of sarin gas related bio-terror attacks on the Tokyo Subway which killed 13 and injured 50 on March 20th, 1995, a new and far more sinister bio-terror plot to attack the New York City Subway (MTA) appears underway. Aside from having the means, the motive and the opportunity to conduct a major bio-terror attack, the government is the only entity with the resources to plan, organize, drill and execute a major false-flag bio-terror operation. As revealed in the recent report entitled, “Red Alert: Mass Bio-Terror Pandemic Imminent”, the genesis of the 2013 bio-terror pandemic will be a “made-for-TV event” whereby millions will witness a bio-terror outbreak on “live” television. This so called bio-terror “event” will likely occur when the agents known as anthrax (Bacillus anthracis) or smallpox (Variola major) are released into a controlled environment, such as a dome stadium or subway system. As “luck” would have it, both London and New York are executing the same exact underground/subway bio-terror drills just weeks apart from each other. The main reason these “anti-terror drills” are routinely conducted by men in black ski masks is to hide their nationality. For example, Israeli Mossad members could practice a bio-terror attack in London for an upcoming real-life bio-terror attack in New York without ever being identified or drawing attention to themselves. By hiding their given nationality, the real terrorists can practice their terror attacks openly around the world without ever being identified. In what appears to be a beta-test for the real bio-terror operation planned for the subways of New York City, the city of London is coincidentally drilling biological attacks on their Underground using tasteless and odorless gasses. On June 14th, 2013, it was reported by the BBC that biological terror “tests” would be executed in the London Underground to “see how quickly poisonous gases could spread across the Tube network” with the aim to “create a better understanding of how to respond in the event of them being deliberately or accidentally released”. According to the report, the bio-terror drills will be executed at undisclosed times during the month of June using “non-hazardous materials”. The poisonous gasses are scheduled to be released at 11 stations between rush-hour times near the opening of the tunnels so that the public will not be able to see, smell or taste it. Like London, New York is executing the same exact bio-terror drill on its subway system which is expected to go “live” at some point. According to the April 24th, 2013, report by Fox News, the New York Police Department is teaming up with the U.S. Department of Energy’s Brookhaven National Laboratory as part of a $3.4 million federal grant to, “study how chemical weapons could be dispersed through the air into the subway system”, the nation’s largest. According to the report, the bio-terror drills will be conducted during the month of July in all five New York City boroughs where researchers will track the movement of “harmless tracer gases” which “mimic how a chemical or biological weapon may react if released.” Naturally, NYPD Commissioner Raymond Kelly reportedly stated that the study will help safeguard the city against attacks. Prior to a major bio-terror attack and outbreak, the public must be psychologically programed that this is in fact possible. 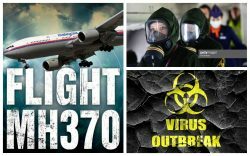 Although there are literally thousands of bio-terror related events which have occurred over the last few years, starting in January of 2013, there has been an unprecedented wave of bio-terror related new and propaganda. Taken collectively, these events indicate that a bio-terror attack within the United States is imminent. Predictably, in the aftermath of a major bio-terror attack on the New York subway system or any other location, the panicked public will be issued poisonous vaccines by the government and medical establishment. As those individuals who took the first vaccines begin to die, the government will likely state that the outbreak is spreading or has mutated and will subsequently issue a mandatory vaccination order across the country in order to “control” the outbreak, ultimately killing millions. A major bioterror operation would cost millions, if not hundreds of millions of dollars, all of which would be needed in order to blackmail scientists, steal or develop the agent or virus, weaponize it, deliver it, and execute the operation without getting arrested or properly investigated. The sheer logistics, security, communication, and cover-up needed before and after a major bio-terror attack is so daunting, there is only one entity (the government) even capable of carrying it out. Prior to a high-profile bio-terror rail/subway terror attack, the public must be psychologically prepared to accept that this is in fact possible. In the last year, an unprecedented amount of horrific subway related “accidents”, arrests, crimes and deaths have occurred around in and around the New York Subway system and rail/train stations around the world. Although it’s impossible to confirm, it would appear that most if not all of these incidents were staged with the goal of programming the public that rail travel and the NYC subways are unsafe, vulnerable to attack and prone to tragedy. As the January 23rd, 2013, CBS News headline ominously predicted, “New York City On Track For Twice As Many Subway Deaths This Year”. Currently, New York City “on pace to hit 116” subway deaths in 2013, up roughly 200% from only 54 in 2012! On January 19th, 2013, just four days prior to the following reports being published, four New Yorkers reportedly died within 24 hours. While most of these deaths have been chalked up to being “accidents”, a blatant assassination program is obviously being executed upon the New York subway system to psychologically program both New Yorker and Americans for impending subway related genocide. The Statue of Liberty is a colossal neoclassical sculpture on Liberty Island in New York Harbor, and quite possibly the United States’ most famous landmark. October 26, 2012, it was reported that the Statue of Liberty will reopen on the 126th anniversary of its dedication after a year-long renovation project. According to the report, the $30 million renovation allegedly improved fire alarms, sprinkler systems and exit routes to bring Lady Liberty in line with New York City safety codes. Five months later on March 19, 2013, it was reported that the Statue of Liberty has now been rescheduled to reopen by Independence Day, July 4, 2013, about eight months after it was inexplicably closed because of Superstorm Sandy. On May 9th, 2013, it was reported that tickets will go on sale to the public for the Statue of Liberty reopening on July 4th, 2013. Whether or not the “renovation/repair” job will ultimately undermine the structural integrity of iconic statue is not known, but the timely construction project could have theoretically provided cover for the installation of demolition explosives in and around the Statue of Liberty. These explosives could then be detonated via remote control at a future date in a calculated attempt to give the appearance of a “natural disaster” event or a coordinated terrorist attack. Considering that the Statue of Liberty is likely America’s most famous landmark, it makes sense that Zionist terrorists would want to destroy it and scapegoat their hated Arab brethren for the attack. On November 18th, 2008, it was reported that terror suspect Aafia Siddiqui was taken into custody following her capture in Afghanistan on charges of attempted murder following revelations of a “Mass Casualty Attack” that listed various landmarks in New York, including the Statue of Liberty. Roughly five years later on May 28, 2013, it was reported that recent security changes at New York City’s Ellis Island and Liberty Island are under scrutiny as New York Senator Chuck Schumer and New York City Police Department Commissioner Ray Kelly have “asked the National Park Service to re-evaluate a recent change in its security procedures that will allow visitors to board ferries headed to the islands and go through a security screening after they arrive.” Kelly reportedly stated that, “The NYPD and the National Park Service have differences when it comes to ideas on how to protect visitors from a terrorist attack. Al Qaeda and its surrogates, those who share its jihadist goals, have continually called for attacks against America, in America.” Five days later, a New York Times report stated that Kelly has been “objecting to that move for more than two years”, and that “The New York Police Department was uncomfortable with allowing tourists to board ferries to the statue without first being checked for weapons and explosives.” Obviously, Bloomberg, Schumer and Kelly are making a fuss about the change in Statue of Liberty security in order to give themselves plausible deniability in the aftermath of terror attacks targeting the historic landmark. The Brooklyn Bridge is a bridge in New York City and one of the oldest suspension bridges in the United States. According to reports, the Brooklyn Bridge is currently undergoing a four-year, $500 million safety and aesthetic improvement program that will be completed in 2014. Aside from being under construction, on April 27, 2011, it was reported that a long-standing plot by al-Qaida to take down the Brooklyn Bridge had been revealed in classified documents obtained by the New York Times. In 2012 alone, there were at least 5 suspicious closings of the Brooklyn Bridge which potentially indicate that the bridge has already been set-up and rigged for demolition. On May 28th, 2013, a suspicious vehicle prompted authorities to shut the Brooklyn Bridge and call in a bomb squad, potentially foreshadowing events to come. Whether or not these suspicious “closures” will ultimately undermine the structural integrity of the bridge is not known, but the timely closures could have theoretically provided cover for the installation of demolition explosives in and around the Brooklyn Bridge. These explosives could then be detonated via remote control at a future date in a calculated attempt to give the appearance of a “natural disaster” event or a coordinated terrorist attack. Prior to a high-profile terror attack on the Brooklyn Bridge, the public must be psychologically prepared to accept that this is in fact possible. Hollywood movie propaganda is a slick way of showing that yes, it can happen. “The Dark Knight Rises” (2012) is a film (see trailer) which depicts the Brooklyn Bridge as the target of a major terror attack. The “Freedom Tower”, also known as “One World Trade Center (1 WTC)”, is the main building of the new World Trade Center complex in New York City. The World Trade Center in New York was previously attacked in 1993 and 2001, and therefore a third attack on the new “Freedom Tower” by alleged “Islamic Terrorists” who hate America’s freedom is highly likely and would surely be used as the rallying cry for the invasion of another Middle Eastern country. According to Wikipedia, Larry Silverstein of Silverstein Properties is the leaseholder and developer of the Freedom Tower complex and remains “actively involved in most aspects of the site’s redevelopment process”. Silverstein is the same Zionist operative who first bought, insured and then profited off the demolition of the Twin Towers in the 9/11 terror attacks to a tune of $4.6 Billion. According to a June 29, 2005, report, the Freedom Tower is “bomb proof” and is “draped in a reinforced mixture of stainless steel and titanium, providing a reflective security shield capable of withstanding a major blast.” Properly translated, this statement likely means that the Freedom Tower has been constructed with built-in demolition capabilities hidden within the very structure itself. Make no mistake; the Freedom Tower is a ticking false-flag terror time bomb. Times Square is a major commercial intersection in Midtown Manhattan, New York City, and is often iconified as “The Crossroads of the World” or “The Center of the Universe”. 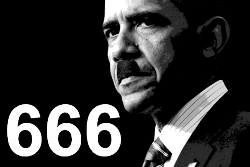 As detailed in an October 5th, 2012, report entitled “Obama’s “Dirty Bomb” Terror Plot Exposed”, Times Square in New York City was unmistakably targeted with a dirty bomb. According to the report, the Obama administration was caught red-handed attempting to execute the logistics of a terror plot which planned to detonate a “dirty bomb” in Times Square during its famous New Year’s Eve celebration which is televised worldwide. Although the terror plot was ultimately foiled, it is highly likely that Times Square will again be targeted with terror in the near future. Wall Street is the financial district of New York City, named after and centered on the eight-block-long street running from Broadway to South Street on the East River in Lower Manhattan. 93 years ago, the Wall Street bombing occurred at 12:01 pm on Thursday, September 16, 1920, in the Financial District of New York City. The terrorist attack killed 38 and seriously injured 14. With the rise of the Occupy Wall Street movement and the ever increasing hatred of banks and their usury practices, it is highly likely that Wall Street will once again be targeted for terror. On November 18, 2008, it was reported that terror suspect Aafia Siddiqui was taken into custody following her capture in Afghanistan on charges of attempted murder following revelations of a “Mass Casualty Attack” that listed various landmarks in New York, including Wall Street. Prior to a high-profile terror attack on Wall Street, the public must be psychologically prepared to accept that this is in fact possible. Hollywood movie propaganda is a slick way of showing that yes, it can happen. “The Dark Knight Rises” (2012) is a film (see trailer) which depicts Wall Street as the target of a major terror attack. In November of 2011, Wall Street executed “Quantum Dawn 1”, a cyber-attack exercise consisting of armed gunmen running around Lower Manhattan trying to gain entry to the NYSE and trying to blow things up. This exact scenario was later featured in the movie “The Dark Knight Rises” (2012). Roughly 19 months later on June 13th, 2013, it was reported that Wall Street executed “Quantum Dawn 2”, a cyber-terror war-game apparently meant to give insiders an opportunity to make financial moves before the market crashes, for good. According to the report, Cyber Strategies oversaw the exercise which included Citigroup, Bank of America, the Department of Homeland Security, the Treasury Department, the Federal Reserve, the Securities and Exchange Commission, as well as 40 other firms. The drill, which featured a hacker from a fake trading platform, prompted a response in which the participants facilitated a conference call to “figure out what was going on”. In other words, the drill simulated a real-life scenario in which insider firms received the “heads up” about an impending cyber-attack and shared this information accordingly so that their bank accounts and those of their clients would not be affected. The same sort of thing occurred just prior to 9/11 when “put options” or bets were taken out on United Airlines and American Airlines, the two airline companies involved in the attacks. According to the “9/11 Commission Report”, “some unusual trading did in fact occur”, however, it claimed that, “each such trade proved to have an innocuous explanation”. As evidenced, terrorism in New York has reached unprecedented levels and will likely culminate with a major bio-terror attack one or more of the five aforementioned targets. Should any of these terror plots come to fruition, it is imperative that rabid Zionists such as New York City Mayor Michael Bloomberg and New York Senator Chuck Schumer are tried in a public court of law and executed for treason should they be found guilty for their role in New York City related terrorism (see list below). Although these traitors unusually have a fall-guy”, such as NYPD Commissioner Ray Kelly, selected just in case a given terror plot is exposed, make no mistake, these attacks were green-lighted by these two men. Interestingly, disgraced former New York City police commissioner Bernard Kerik was just released from Cumberland federal prison facility despite having 5 months left on his 4-year sentence. Whether or not he has been chosen as the “fall guy” for the subway bio-terror plot is still unknown, but he would be the perfect man due to his former position and to his shady criminal past. In the event that he was in fact chosen, we can expect his death or incarceration now that this terror plot has been exposed. It’s imperative to remember that starting fights between different races, classes and religions is taken word for word from the 3rd Protocol of the Protocols of Zion. The main goal of the Zionist establishment is to get America to destroy herself the same way that Russia was destroyed under Stalin. This is done by dividing and then collapse society upon itself by baiting the gun-owning American public into a violent revolution against their own police and military while the real terrorists sit off-shore and pull the strings.